On Tuesday, we woke up, packed, and drove to Taos to experience the beautiful Sangre de Cristo Mountains in north-central New Mexico. About two hours driving from Albuquerque and one from Santa Fe, it’s a perfect weekend escape from the urban life. Although we visited during the off season (the snow on the slopes was beginning to melt and the wildflowers had not yet appeared), the landscape was no less stunning. Sharp, snow covered peaks rose above dry, barren desert in a dramatic contrast. After spending the afternoon browsing the shops, cafes, and restaurants in Taos, we drove another twenty minutes to our hostel near the Taos Ski Valley. 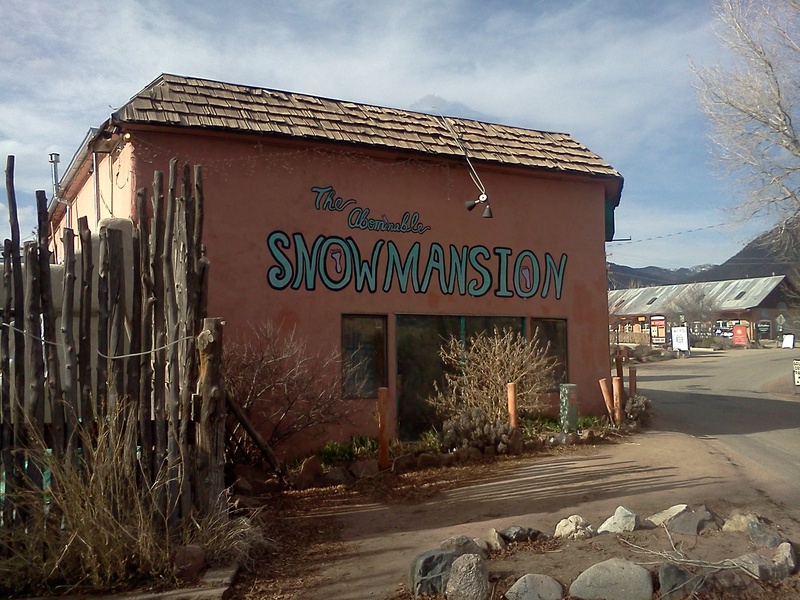 The Abominable Snowmansion was located in the village of Arroyo Secco just outside the Carson National Forest. Perfect for travelers with a budget, especially youth, the Abominable Snowmansion is a great base for skiing, hiking, or simply enjoying the outdoors. With reasonable priced dorms, private rooms, cabins, and tipis and friendly staff, it provided splendid mountain accommodations. While there are not very many restaurants in Arroyo Secco, AQEC Restaurant provided a wonderful atmosphere, delicious (slightly over-priced) food, and a friendly staff. However, the staff at the Abominable Snowmansion serves an inexpensive dinner in the evening and there are many dining options nearby in Taos. 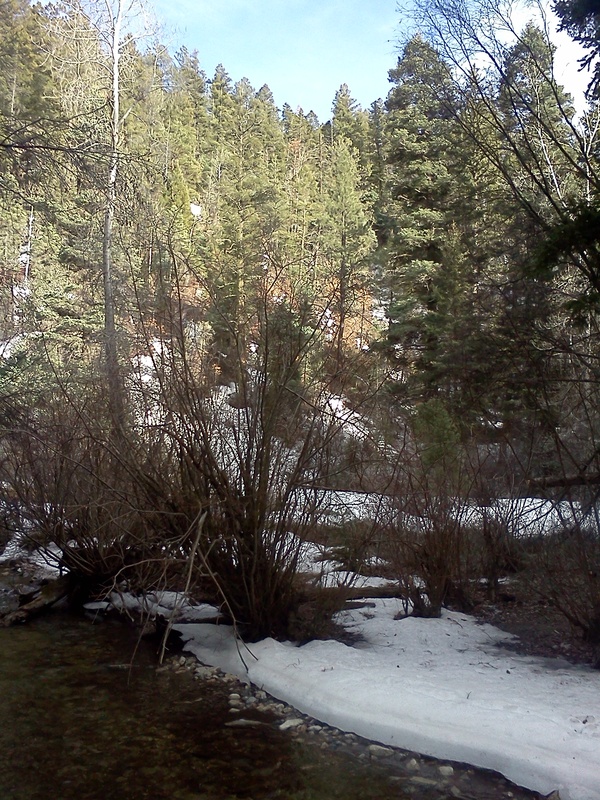 We explored the Taos Ski Valley before returning to our hostel for an evening of pool, wine, and new friends. 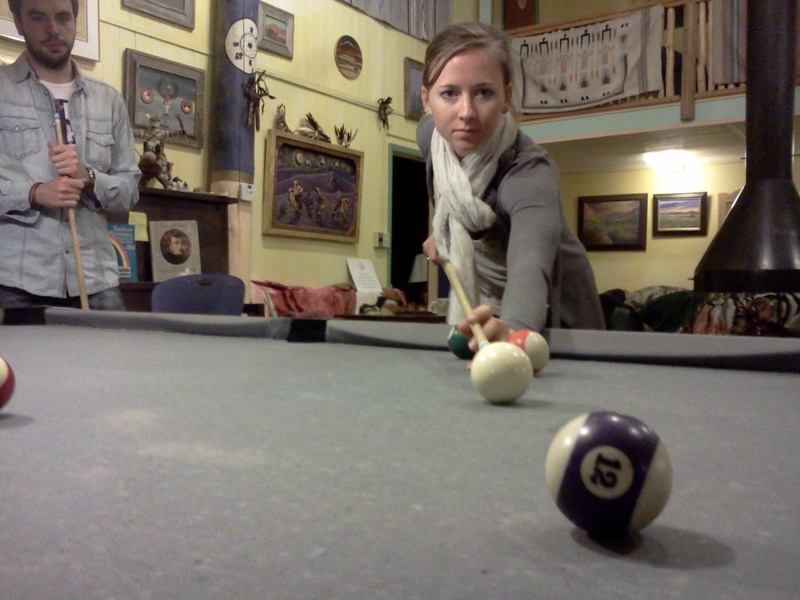 Although my pool skills are lacking, I had enjoyable time laughing with old and new friends. After pool, we retired to the summer room and continued to drink. A new friend from New Orleans played some music and we had a little party. It was a close to a perfect day in the mountains.